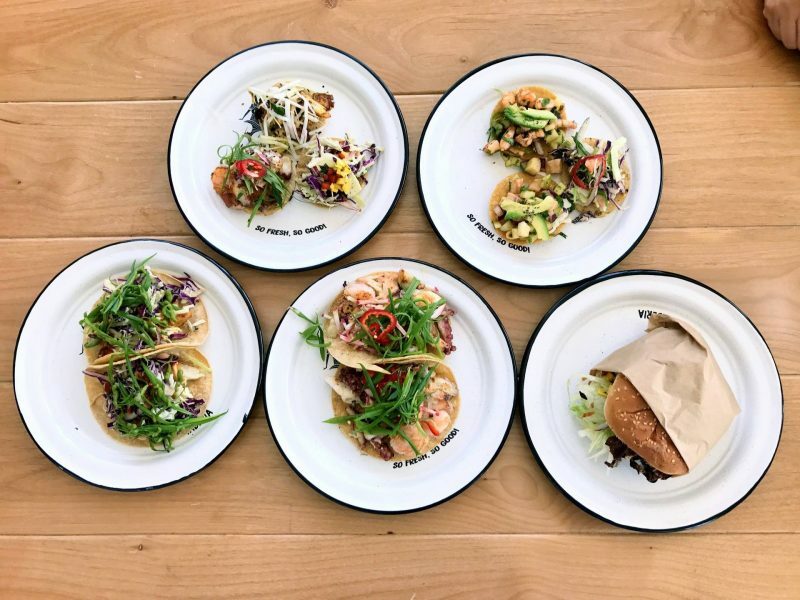 If you have been to Grand Central Market you have surely tried La Tostaderia, now you don’t have to trek to downtown LA to get their fresh tostadas, tacos and shrimp “burger.” They have recently opened a new location on Abbot Kinney, which is the perfect fit. 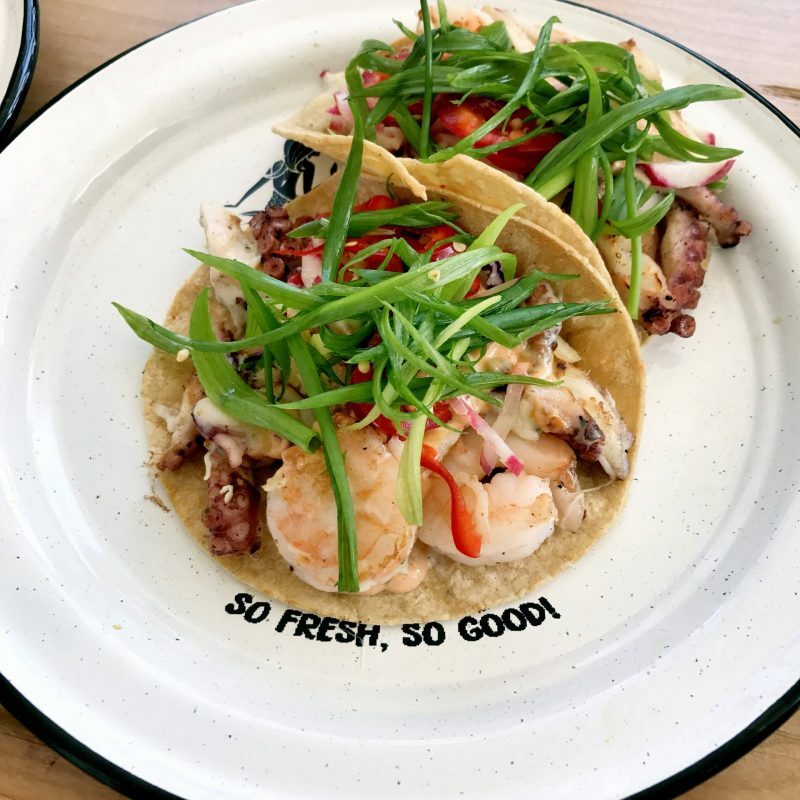 Abbot Kinney was in need of a casual, fresh, Mexican restaurant. Their new location is where 3 Square Cafe was. It has a great patio to sit and have a bite to eat and people watch. The place is casual, with a few tables inside and the majority of the seating on the patio. It’s a great place if you want to grab a quick and healthy bite to eat or a place to meet friends. 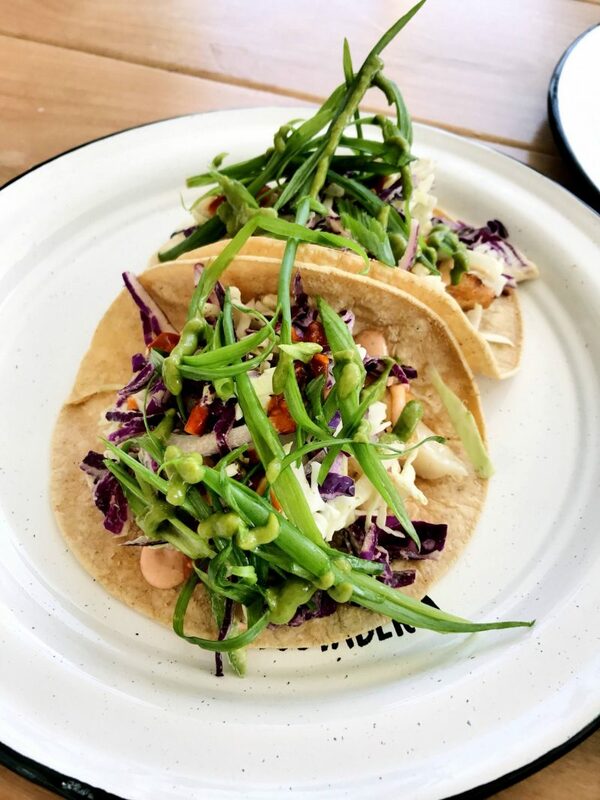 The dishes are sharable, so get a bunch of tostadas and tacos to try everything on the menu. I tried six dishes and everything that I tried I loved. Some stand out dishes are the fish tacos, the shrimp and octopus tacos, I also had the mini tostada sampler where you can try all of them, and the “burger” which is shrimp and cheese melted to make a patty, it’s really good. Everything I tried was so good that I now want to try everything on the menu. The flavors of the tacos and ceviche tostadas are really amazing. You can taste how fresh the ingredients are and the flavors are really well balanced. This is definitely my new go to place on Abbot Kinney. Once your try the food here, you will crave it. I need to go back soon! La Tostaderia is locate at 1121 Abbot Kinney Boulevard, Venice, CA.